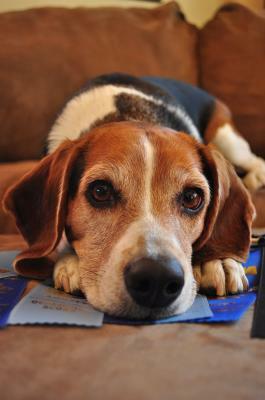 This is Twist, a rescue beagle adopted by the Bruse family in March of 2011. 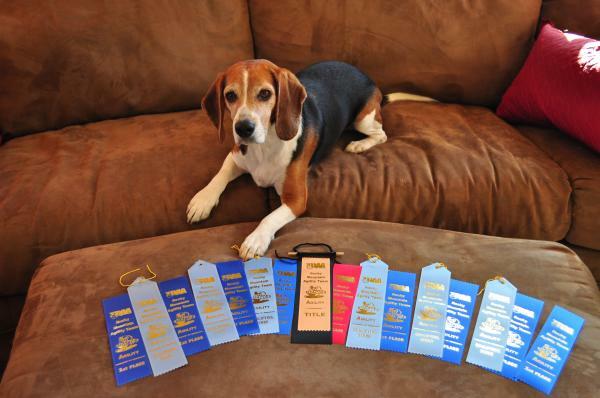 Here's what Jill Bruse has to say about her beagle boy! We took Twist to his first real agility competition a couple of weekends ago and here are the results: Out of nine runs he won eight first place and one second place. He earned a Games I title and a leg in Games II as well as two legs in Standard Beginner. A bit of history on Twist--he came to Colorado Beagle Rescue on the CARE transport, a product of Missouri where he was left to fend for himself and picked up by a high kill shelter. CBR was able to bring him to Colorado where Twist was in foster care with Kathy and Chris Pflazgraff until he was adopted by the Bruse family. What a great dog that was adopted by a family who cared about him and gave him some positive training. He now has such a wonderful life with his new family and CBR is so proud of him!